Frank Platt provides management consulting services for organizations across the U.S. and around the globe with services designed to assist his client organizations assess, develop, and manage Cyber-Risk and Cyber-Security programs. Frank has consulted with global fortune companies, including FedEx, HCA, NFL, NASCAR, United Technologies as well as many smaller organizations primarily in healthcare, finance, manufacturing, and energy sectors. 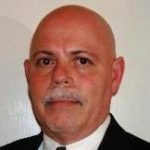 Frank is a CISSP (107408) in good standing with ISC2 and is active and past board member with ISSA, ISACA, ACP, and Infragard.